This is the first in what will be a collection of posts about the Colegio del Patriarca (location). There’s a lot to say about this extraordinary building, and we’d like to delve deeper than the length of a single post would comfortably allow. Over the centuries, the Colegio del Patriarca has come to be known after its founder, “The Patriarch” San Juan de Ribera. 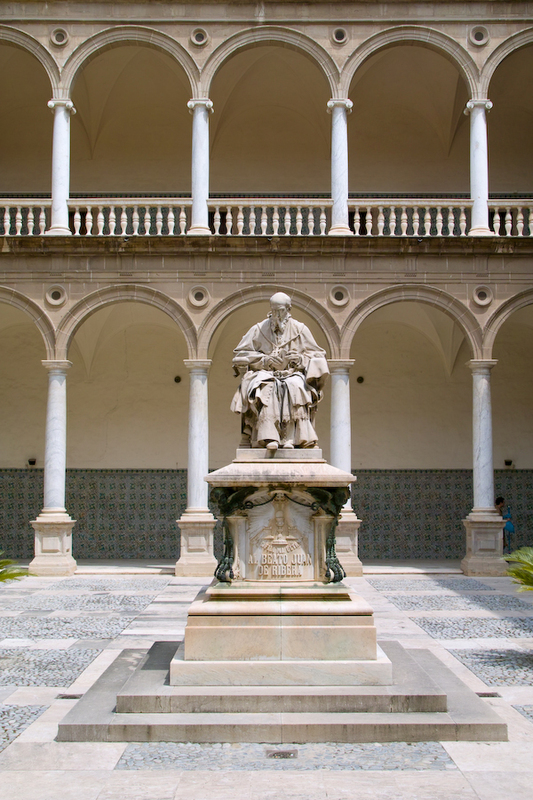 Its original name, however, is the Real Colegio de Corpus Christi. You might hear it referred to as both. 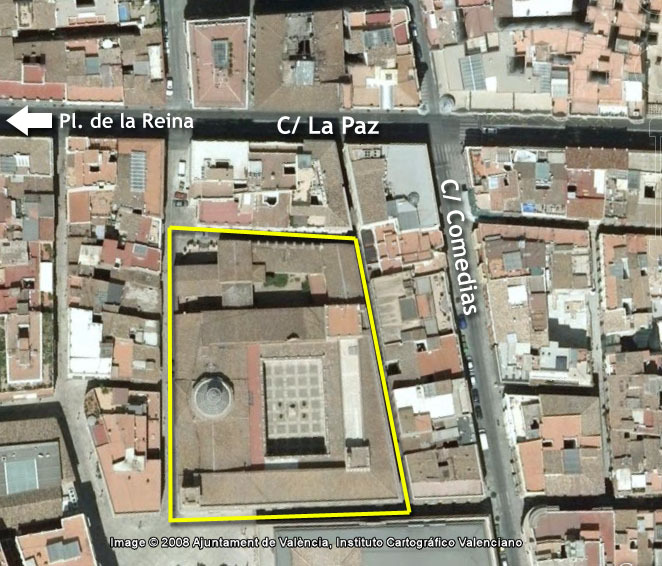 The structure is massive, occupying a city block and housing both a seminary and a chapel. 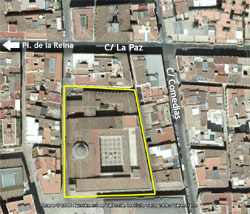 It’s located off Calle La Paz, directly across from the University of Valencia’s “La Nave” (itself a remarkable building). 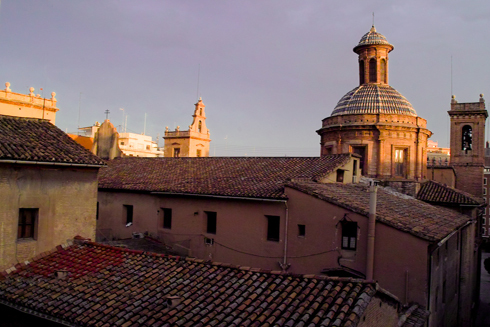 The seminary is still active, and reputedly among the most loyally maintained in all of Spain. The chapel, in which there are multiple daily services, is beautiful and completely bedecked in paintings by some of 16th century Spain’s best renaissance artists. Daily at 9:30 (except Mondays) you can hear Gregorian chanting in the chapel — worth dropping in for. In addition, the building hosts a small but impressive museum. San Juan de Ribera was born in Sevilla in 1532, into a family already powerful within Spain and the Catholic church. But, the silver spoon doesn’t diminish his accomplishments or intellect — at 10 years of age, he enrolled the renowned University of Salamanca, and he achieved his doctorate in Sacred Theology when he was just 25. King Philip II was a great friend to the Ribera family, which surely influenced the pope’s decision to name the 30-year old Juan as the bishop of Bajadoz. Just 6 years later, in 1569, he became Archbishop of Valencia — then one of Spain’s largest and most unruly cities with 12,500 inhabitants. 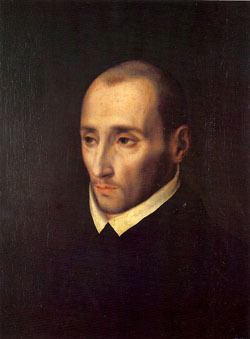 The young Ribera was an active advocate on behalf the Valencian community, involving himself in many charitable undertakings of both religious and civil nature. He also helped expel moors from Valencia, which isn’t considered ‘charitable’ today, but probably won him mad props back in the day of the Counter-Reformation. His pet project and grand achievement was the founding of the Real Colegio de Corpus Christi, for the instruction of young priests. The Colegio was inaugurated on February 8th, 1604, with a massive ceremony attended by King Felipe III. Ribera died at 74 years of age, on January 6th, 1611. In a neighboring town, a friar giving Holy Mass supposedly saw his spirit ascend to heaven, accompanied by a host of angels. Liars — they existed even hundreds of years ago! While the Patriarch was still in his non-spirit form, he wrote a detailed set of Constitutions for the running of the seminary. These continue to guide the students who live in the building, detailing the spiritual and literary exercises, times of classes, the hours to open and close doors, eating times and seating places for meals, rules for ceremonies, as well as penalties for bad students — including expulsion. 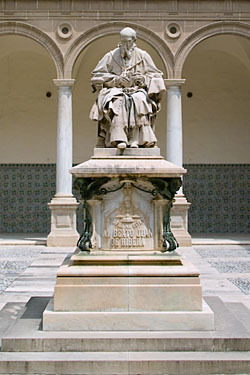 The Constitutions have given Ribera an enduring presence in the Colegio, which helps explain the reverence in which he’s still held. His portraits and likenesses are found all over the grounds. Ribera was beatified in 1796 and Pope John XXIII made him a saint on June 12th, 1960.